Since 1982, the Association of Floral Importers of Florida (AFIF) has dedicated itself to advocate, network, and enhance specific programs that benefit its members. 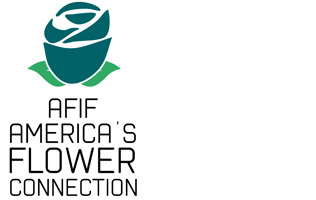 AFIF is constantly advocating on behalf of its members on national public policy issues and international trade matters to ensure the free flow of imported floral products into the United States. 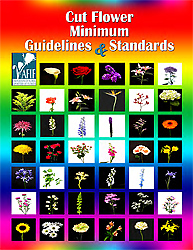 Additionally, AFIF keeps its members updated on relevant information and events that affect the flower industry. AFIF makes it easy for its members to network amongst each other, creating opportunities for people to work together and establish valuable business relationships. Being part of the AFIF network has certain benefits such as access to valuable industry-related data and statistics, travel discounts and the tools to not only succeed as a company but also to be a key factor in promoting and enhancing the flower industry as a whole. Advocacy — Advocate Member's interests on national public policy issues and international trade matters to ensure the free flow of imported floral products into the United States. Member Promotion — Promote AFIF Members as the most efficient source for imported fresh cut flowers. Member Programs — Serve as a mechanism to develop better skills among Members. Advocate Member's interests on national public policy issues and international trade matters to ensure the free flow of imported floral products into the United States. AFIF has provided a unified "voice" for its Members since 1982 and has established a long-standing "working partnership" with various United States regulatory agencies, including the U.S. Department of Agriculture (USDA), Department of Homeland Security (DHS), Customs and Border Protection (CBP) and Miami International Airport. These efforts ensure the most efficient and cost-effective clearance of Members' flowers through Miami, along with access to timely information to enable complete and accurate compliance with all regulatory agencies. AFIF also deals with international trade, legislative and transportation matters, addressing industry issues and challenges and developing appropriate strategies and responses to them. The goal of AFIF website is to provide information about AFIF members and the industry as well as keep Members up to date on current news and events. www.afifnet.org — The goal of AFIF's website is to provide information about AFIF members and the industry as well as keep Members up to date on current news and events. Those companies interested in joining AFIF should contact AFIFs Executive Vice President at 305-593-2383 or e-mail your request to [email protected]. Serve as a mechanism for sharing and creating ideas and programs to develop better skills among Members. Statistics — Members have access to a broad range of statistical tools, important consumer trend information to enable them to make informed decisions for their company. Annual Profit (Benchmark) Study — This Profit Study enables Members to review industry financial performance results and analyze how high profit firms achieve their success. It also provides Members with tools (a computer software package) that enable them to compare their performance to the industry. Annual Salary Survey — Specific to the Miami flower importers, this analysis enables Members to better evaluate whether they are paying their employees at appropriate levels for the Miami industry. Hotel Discount Rates — AFIF Members receive discounts at various hotels near Member facilities and the Miami International Airport. Click here to download a list of hotels and rates. Credit Card Processing Program — AFIF members receive the deepest discount available on credit card processing back by a large stable banking firm. Members are also able to use computer credit card processing which give the companies more secure real time data and better reporting capability.